THQ Nordic has finished a deal to acquire the Carmageddon IP from developer Stainless Games. As to how much the publisher paid for the IP, well, that hasn’t been disclosed. The Carmageddon series is over 20 years old now with the first game in the series coming out in 1997. It was very much of its era, given that it came out in the same year as the first Grand Theft Auto game, and both games offered players the chance to run over pedestrians. The 1990s were edgy. Carmageddon even let you go into a first-person view and watch the blood being cleared from the vehicle’s windscreen by the wipers. 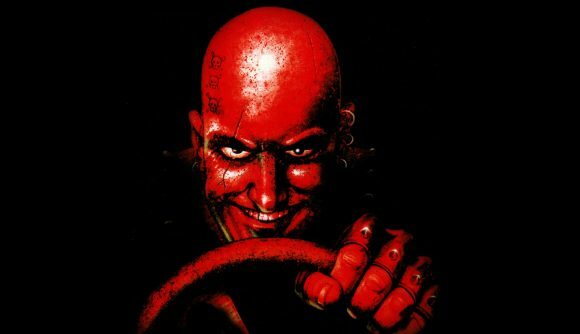 What distinguishes that first Carmageddon – and its sequels – from other vechicular combat games is that indulgence in bloody violence. You compete in races against other drivers but don’t have to come first to beat the track – you can win by running over all the pedestrians or wrecking all the other cars. Do you want to race properly or cause mayhem and destruction? That’s the question at the heart of the series. The Carmageddon IP has changed hands a few times with Stainless Games being the latest owners before THQ Nordic’s acquisition today. Stainless released two games in the series after acquiring the series in 2012 – Carmageddon: Reincarnation and Carmageddon: Max Damage. So it seems Stainless will still be working on it with the backing of THQ Nordic. This is the the latest in a string of IP purchases by THQ Nordic this year. Previously, the publisher bought Kingdoms of Amalur, and shortly after snapped up Alone in the Dark and Act of War. The publisher also just released Darksiders III and has Metro Exodus arriving in February 2019. There’s lots going on over in the THQ Nordic offices, it seems.